Olive trees have been respected and part of rituals and traditions for years. As we worshipped this sacred tree, the benefits of its precious oil were discovered. Olive oil is not only used in the culinary world, it has proven to be extremely useful for its medicinal and cosmetic virtues. 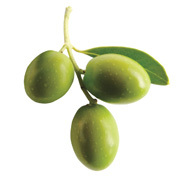 Known as the green gold of gods, kings and queens, it soon became an essential part of the daily Mediterranean diet. Only extra virgin olive oil is worthy of our interest for its acidity (cannot be over 0.8%), its peroxide and oleic acid levels are highly controlled. Extra virgin olive oil can only be obtained by mechanical processes. This pure fruit juice has not suffered any chemical treatments. The extraction method known as cold-pressed provides the best oil while consuming less water and energy. Lavender brightens the Mediterranean basin with its purple palette. 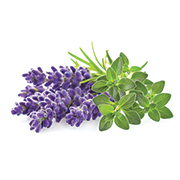 It grows in the dry and sunny regions, pleasing us with its subtle and soothing fragrance. It has been forever used in fragrances and pharmacy. The use of lavender goes back to the earliest antiquity. The pharaohs of ancient Egypt would use it. In the Middle Ages, it was cultivated in monasteries and used to perfume linen and houses. It is also appreciated for its properties as a disinfectant. Today, lavender is used in many cosmetic products. Its many virtues include softening, healing and relaxing by its delicate perfume acclaimed throughout the world. The coconut is the fruit of the coconut tree (cocos nucifera), belonging to the palm or Arecaceae family. 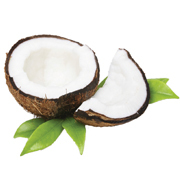 In the cosmetic world, the copra is used, which is the dried kernel of the coconut. Perfect for nourishing hair and skin, this precious seed has been used for centuries in the exotic regions in which it grows. Coconut oil is rich in fatty acids and vitamins A and E. It also contains phenolic acid, which infuses the skin with its antioxidant and anti-inflammatory properties leaving it smooth and repaired. Thanks to its nourishing and healing properties, coconut oil has become the base ingredient of many cosmetic formulas to help fight against dehydration. Originally from South Africa and along the Mediterranean Coast, aloe vera grows in the wild on many continents. For thousands of years, it has been cultivated both as an ornamental plant and for its numerous medicinal properties. The green bark of the plant contains substances used as laxatives and purgatives. 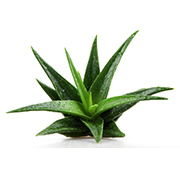 Furthermore, the centre of the aloe vera leaf encloses a gel particularly rich in fatty acids, vitamins and mineral salts, which can contribute to the healing of tissues. A tropical tree of a rare strength, the Moringa is one the most useful and polyvalent plants on earth. It is very rich in nutrients (vitamins, minerals and proteins). In traditional medicine, all the parts of the plant can be used in numerous ways such as an antidiabetic, for water purification, vermifuge, skin care and the strengthening of immune defences. From the Rosaceae family, the spring flowering of the apricot tree has earned it its Arabic name albarquq meaning precocious. Originally from India, its oil is extracted by cold pressing to preserve its multiple benefits. 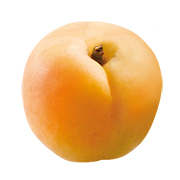 Softening, hydrating and revitalizing, the oil extracted from apricot cores is full of oleic acid (from the omega-9 family) and vitamins A and E. Its multiple virtues give a real protection to skin and allow hair to strengthen its hydrolipidic film. Shea grows in the African savannah. Noble and robust-looking, this stocky tree is precious to the local populations that attribute mystical and protective qualities to it. The core of its fruit contains an almond that can have up to 48% of fat content. 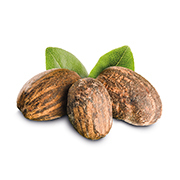 4 kilos of almonds have to be pressed in order to obtain one kilo of Shea butter. It is mainly known for its cosmetic properties as a skin moisturizer and softener. Because of these remarkable properties, it is used in the composition of numerous cosmetics. 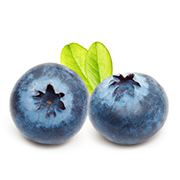 Originally from Eurasia and North America, blueberries belong to the Ericaceae family. Their Latin name Vaccinium gave way to the term “bleuet” (blueberry) in 1380 derived from the noun “bleu” (blue). In medical research, this little fruit will always be astonishing for its diverse beneficial properties on the human body such as reducing risks of cancer, heart diseases or diabetes. Wild grown or cultivated, fresh, frozen or as juice, this adorable little blue fruit is even a star to researchers, as it is the champion of antioxidants thanks to flavonoids. Particularly rich in vitamin C, its consumption can prevent many diseases and its daily use in cosmetic products protects the body against free radicals responsible for skin aging. This vivacious climbing plant grown in cold regions needs a three-year period to come to maturity in order to get an optimal harvest. 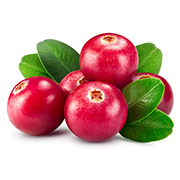 Its bright red colour confirms the presence of a powerful antioxidant: anthocyanins. Though it has many other virtues, which are not less important as this little red berry, Vaccinium macrocarpon, of the Ericaceae family is also known for its effective fight against heart diseases and urinary infections. In fact, Amerindians used it for its medicinal qualities: they used to make cataplasms with it to cure wounds. In winter, they would use it to treat scurvy, as it is rich in vitamin C. Very rich in omega-3, this little fruit is a gold mine to keep the body healthy. Grapeseed oil is a vegetal oil that comes from Chile. Grapeseed extract (oil) is composed of flavonoids whose main purpose is to protect the blood vessel walls by giving skin a calming and antioxidant action. All the wine countries have greatly capitalized on wine by-products because of the rich in lipid grape seeds. 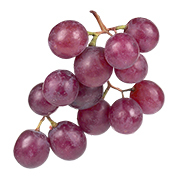 Grapeseed oil is also rich in linoleic acid, an important essential fatty acid for skin and cell membranes. It penetrates the skin easily and has restructuring and regenerating virtues, which give it a better control on hydration. 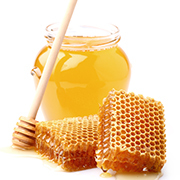 Honey is a true product of nature, its origins of honey would date back to 4500 years ago in Egypt. Besides its consumption as food, it has been used since Antiquity to embellish skin and cure wounds. Made of water, glucids, minerals, vitamins and enzymes, honey has long been used on the body as an antiseptic agent for infections. During the First and Second World War, it was even used to accelerate the healing of soldiers’ wounds. Nowadays, scientists are still trying to understand what is behind this nectar. Honey is also known for relieving pain, clearing redness and helping to heal. Originally from Europe, calendula is a plant that is easily cultivated in the Mediterranean area. Already known and used in Antiquity by Arabs, Greeks and Indians for its medicinal properties, the use of calendula has increased and diversified over centuries. From the Asteraceae family, calendula is a plant that produces nice yellow flowers and has interesting virtues, due to its seeds. 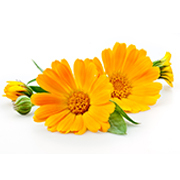 Nowadays, calendula, Calendula officinalis flower, is increasingly used in cosmetics (in particular in cosmetics for babies) because of its antiseptic, anti-inflammatory and calming virtues for skin. This plant, also known as Sacha Inchi, is from the Amazon rainforest and is grown at altitudes from 200 to 1500 m. Its star-shaped flowers contain seeds, which once pressed, make the richest vegetable oil in polyunsaturated fatty acids among all the oleaginous seeds used for human consumption. Full of highly concentrated essential fatty acids, this plant called Plukenetica Volubilis has many virtues: protection, hydration, restructuration, etc. It is grown in a sustainable development program and is used more and more frequently in the cosmetic industry. Even fish oil, well known for its high concentration in omega-3, contains a lower percentage of omegas than Inca inchi oil. Known for centuries for its cosmetic virtues and delicate fragrance, the rose has many benefits. Today it is especially used in luxury cosmetics as rose oil is obtained by a process of steam distillation from rosebuds which is an expensive process because it takes a tremendous amount of roses to produce the oil. Rose oil holds softening, toning and anti-inflammatory properties. It also has antioxidant and anti-aging properties and is particularly effective in the care of sensitive or damaged skin. It also contains vitamins A, D and E that help soften the skin. Jojoba is a shrub from the semi-desert regions of Mexico, California and Arizona. Jojoba oil is drawn from the seeds of the plant. These protein-rich seeds can contain up to 60% oil. 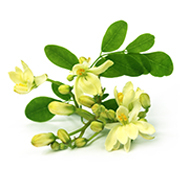 Jojoba oil has many virtues for the skin and hair. Its qualities include restructuring, softening and rehydrating the skin to withstand the rigors of the climate and relieve sensitive skin of those who suffer with acne, psoriasis or eczema. On hair, jojoba oil is exceptionally nourishing, softening and fortifying.